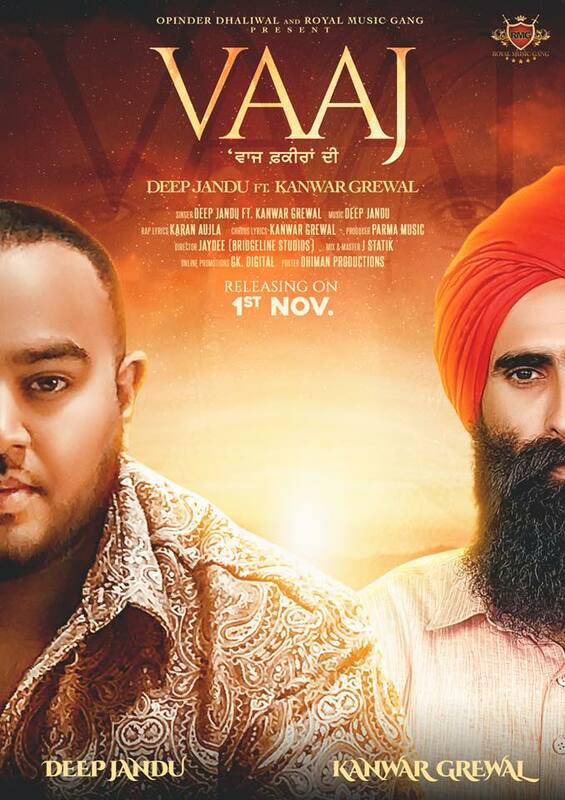 Deep Jandu and Sufi singer Kanwir Grewal have collaborated on their latest song titled ‘Vaaj’. It came to the surprise of many, when it was announced that these two artists would be working together, as their musical styles are so different. Kanwir Grewal is renowned for his powerful lyrics and Sufi music, and touches the soul of many through his songs. He is one for sticking to his own type of music, until recently. ‘Vaaj’ is a combination of Sufi music with a modern twist. He has teamed up with music producer Deep Jandu, who is known for his heavy beats, and completely opposite to Sufi music. When the poster was released, it was hard to imagine what the song was going to sound like. However, now the song is out and it has caught the attention of many. ‘Vaaj’ is a melodious track with soulful vocals from Kanwir and Deep Jandu, and the music fits their voices perfectly. The simple music video does the job, and will keep the audience connected from start to finish. Check out ‘Vaaj’ below and on BritAsia TV.